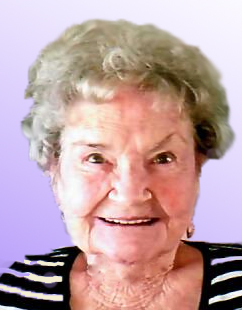 Julia A. Perry (nee Kelly), 88, on June 19, 2018. She is survived by her children Lisa A. Dennis (Anthony), Sharon Mays (Edward), and James K. Perry (Lauren), and her 9 grandchildren. She was preceded in death by her husband of 42 years Frank J. Perry Sr., her children Frank J. Perry Jr., Mary Katherine Perry, and Andrew Perry. Julia was an amazing mother and a loving grandmother. She was an avid reader and crafter. Julia’s quick wit brought a smile to anyone who had the privilege to meet her. Relatives and friends are invited to her Funeral Mass on Monday June 25, 2018 at 10:30am at St. John Bosco, 215 E County Line Rd, Hatboro, PA 19040. Viewing in church from 9:30am to 10:15am. Interment to follow in Our Lady of Grace Cemetery. In lieu of flowers please perform a random act of kindness.